In the JAS Festival, dinner and jazz concert with the group The five outsiders of dixiland + one. Trumpet and direction: Joseph Derteano, Trombone: Eva Garin, soprano sax: Haizea Martiartu, Baritone Saxophone: Julio Marks Battery: Arnau Julia, banjo and voice Mikha Violin. 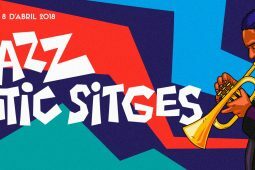 A “parade” through the streets of Sitges, in collaboration with the theater group El Retiro and many musicians and international jazz scene Catalan. 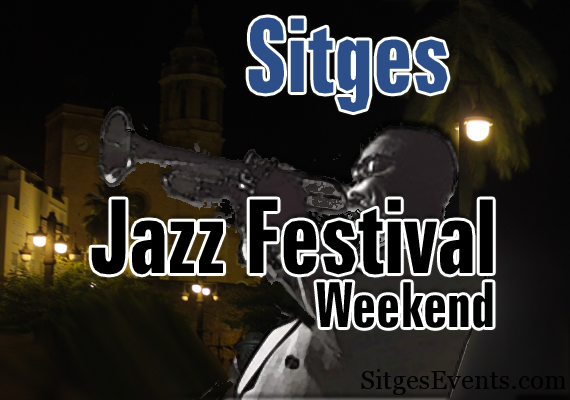 The musicians will gather at the Town Hall Square 17.30 and make a journey through the streets of Sitges by going to places where there will be jazz concerts. On arrival each local musicians who have chosen to offer the concert. So you can listen formations are completely unknown! Route/Recorregut: Plaça de l’Ajuntament, Major, Nou, Passeig de la Ribera, Bonaire, Joan Tarrida, Plaça Indústria, Marquès de Montroig (Montroig cafè), Parellades (cafè Roy), Cap de la Vila i Major (Granja i Donostiarra). A different bars of the village, concerts Jazz .. A unique opportunity to see formations unpublished. Free entrance. tour; Roy Coffee, El Donostiarra (C / Mayor), La Granja (C / Mayor) Montroig coffee. Our parade will go to these places, and charge each restaurant will choose the musicians who it must be. The jazz concert will be extended to Montroig coffee, bringing together nine musicians who have participated in the Festival in the day on Saturday. All in all, an unusually large gathering of traditional jazz musicians. Free entrance. 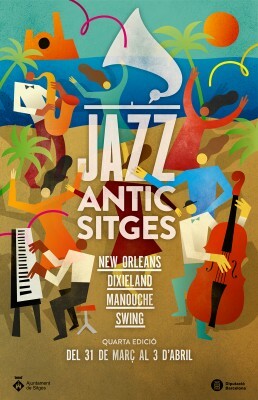 Dance and music of the 30’s: alongside the Sitges International Car Vintage Rallye Ral.li. Open class Swing Dance with Swing Garraf. The Paseo de la Ribera and the frigate. Free entrance. Lunch & Jazz with Los Juanet the third Apocadixie . 33 restaurant. 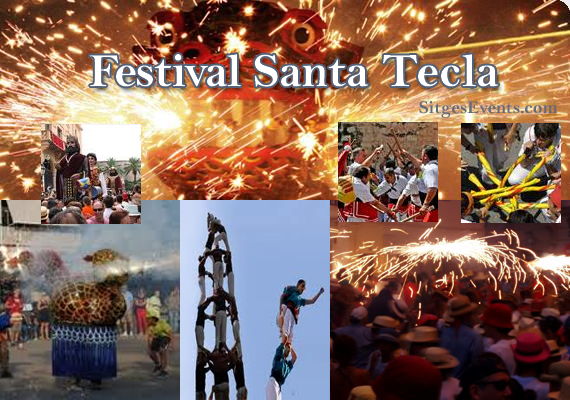 Finale with all the musicians around Sitges or who want to have a good time. Will the Utopia Beach House.